Goscor Articulated lift trucks are narrow aisle, multipurpose Bendi forklifts that run on 48V high capacity electric batteries. The B313 model can carry up to 1350kg of pellets in its 1.6m aisles, achieving a storage density that exceeds any other very narrow aisle installation. The electrical system of the lift trucks is equipped with a sapex controller, battery and status monitoring display, and a provision for radio data terminals/RFID readers for easier control and maintenance. Large and soft tires held with regenerative brakes give a smooth flow, and 220 degrees over rotating fully hydraulic power steering ability improves the deft handling. The lift system accepts all standard attachments, and the trucks boast an award winning chassis design. 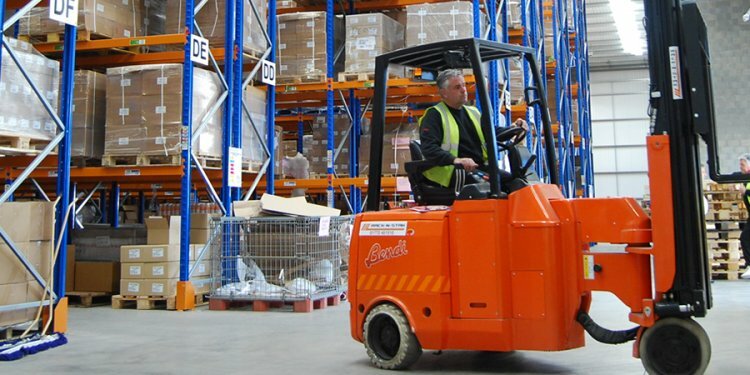 The ergonomics of the lift trucks keep comfort and safety a priority by providing seating position with easy handling truck functions and a four post overhead guard. This articulation unit also offers a lifetime warranty.